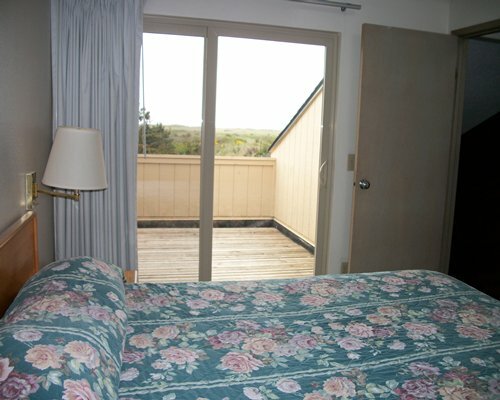 On 16 acres, the resort has 900 feet of unspoiled oceanfront and provides a rustic beach vacation experience. Weathered wood exteriors, pieces of driftwood scattered about, and tall beach grass growing by your door, set the mood for days of relaxation. 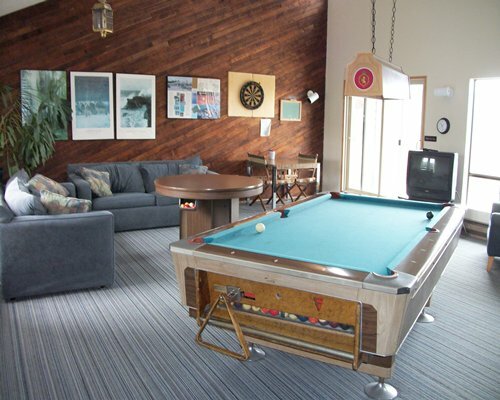 The recreation building has a children's games room, sauna, Jacuzzi, and pool. There's also a kid's play area, volleyball area, BBQ grills, and clam sheds. Many enjoy clamming on the beach when the bivalves are in season. Although the beach is on the resort property, to reach it from the condos requires about a 1/4 mile walk. Separated from the main landmass by a small fresh water stream, Surfcrest seems remote, isolated, set apart from other homes and developments. 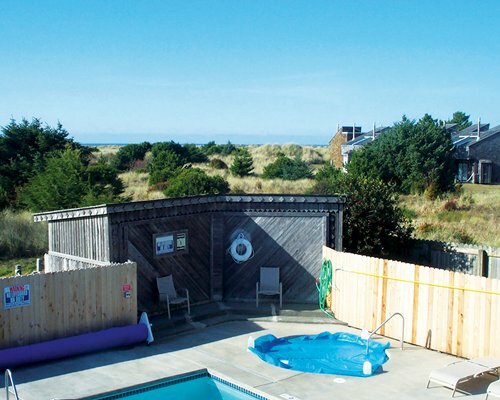 Surfcrest's location provides quiet, uncrowded resort atmosphere for your family's enjoyment. 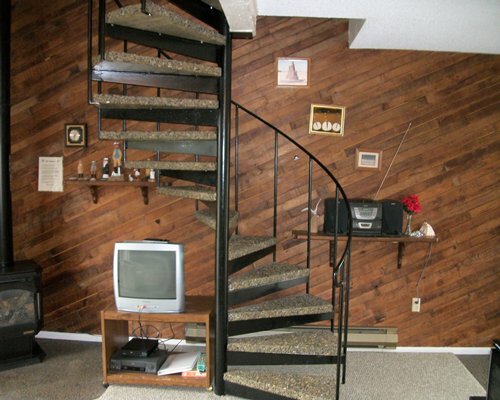 An enclosed upstairs bedroom with balcony is a short walk up a spiral staircase. 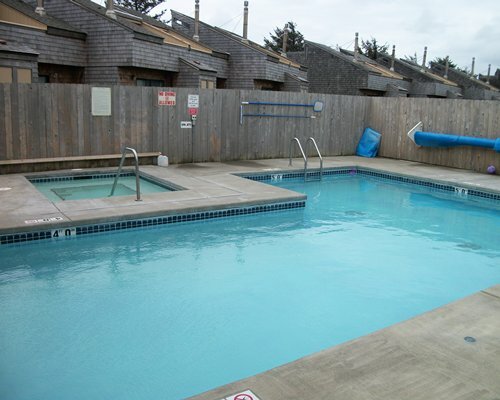 Cozy best describes Surfcrest. 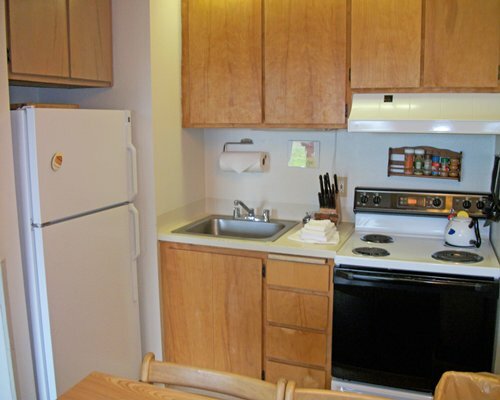 All units are carpeted and have a fireplace, one-bedroom, and a full kitchen. Some have microwaves. Unit floor plan: Bi Level units and all have spiral staircases. Bunkbeds in loft. The ocean beach at Copalis is wide and sandy. It's known as 'The Home of the Razor Clam', but the main draw isn't the clam; it's the beach. You can drive for miles on it. The surf and sand offer a mecca for beach lovers. Besides vacationers, this beach has hosted the hulls of probably a hundred ships and boats that have run aground in Pacific storms. Everything from four-masted schooners to modern steel ships have ended up on this beach. In recent years winter storm watching vacations have become popular and this is a great place to see the high surf roaring in on the beach in winter. The Nearest commercial airport is Sea-Tac International, about 120 miles away in Seattle. From the airport, take I-5 south to Olympia. Take exit 104 at Olympia, get on 12 West and follow signs to Aberdeen. Carefully follow the signs through Aberdeen to Highway 109. Follow signs to Ocean Beaches and Ocean City. The entrance to Surfcrest is 1.1 miles north of Ocean City on the left. "Housekeeping fee for all RCI reservations: There may be a fee of 70.00 U.S. dollars for 1 Bedroom units, weekly. Cash or Credit is accepted." Tax will be added to the fee. Service fee is 70.00 U.S. dollars. Cash or Credit is accepted. 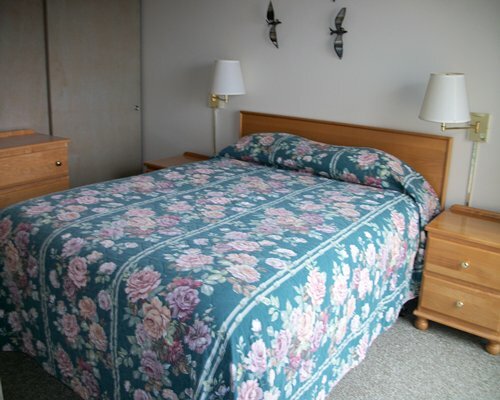 The resort charges $70.00 plus tax cleaning fee per stay starting April 1, 2019.